Have our volunteers keep your purchases for curb-side pick up! 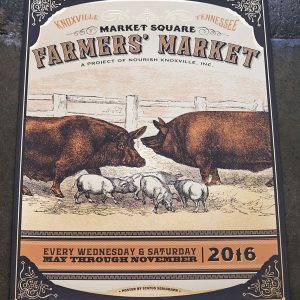 On Saturdays, The Market Square Farmers’ Market offers a service called the “Veggie Valet” for customers who purchase items and wish to have them held while they fetch their vehicle, have lunch, or continue shopping. This unique service is offered during operating hours and is free of charge. Our Veggie Valet is conveniently located on Wall Avenue near the stage on Market Square, perfect for picking up those large/heavy purchases with your vehicle. Our vendors may also leave large deliveries, such as CSA boxes, flats of plants, or a wholesale order, at the Veggie Valet booth for a customer to pick up with their vehicle later. If you are a customer wishing to pick up a large item, contact the vendor in advance to arrange for this service.